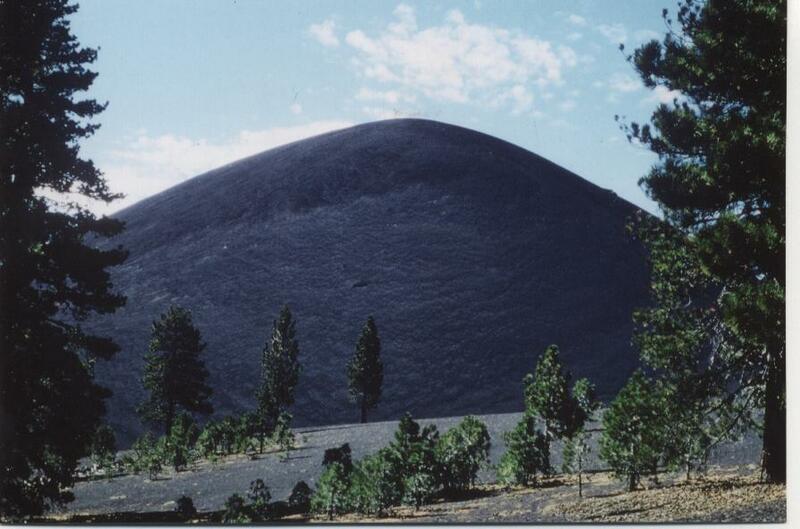 Cinder Cone is your basic volcano—a near-perfect cone around a central vent—straight out of the science textbooks. The hike on Cinder Cone Nature Trail is 5 miles round trip with 700-foot elevation gain. Want to get away? Extend this hike with a loop via Snag Lake, a 14 miles round trip hike with 1,000 foot elevation gain. 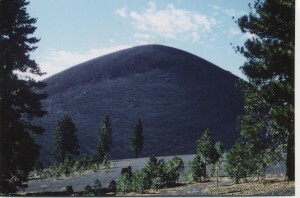 Volcano experts believe Cinder Cone has erupted about five times since mid-sixteenth century; the latest eruption occurred approximately 250 years ago. Fallen ash and cinders, testimony to an enormous eruptive power, spreads over some 35 square miles around the volcano. Equally impressive, are the lava flows, particularly the aptly named Fantastic Lava Beds, on the south and east sides of Cinder Cone’s base. The Painted Dunes, another lava flow sprinkled by hot ash and cinders, cooled to form the colorful dunes. Over the centuries, many of the park’s other cinder cones have become colonized by plants and stands of pine and fir. Not so, Cinder Cone and Fantastic Lava Beds, whose fiery origins are not disguised by vegetation. Cinder Cone Nature Trail is definitely one of the most engaging nature trails in the national park system. Keyed to an excellent park service pamphlet, the trail boasts 44 numbered stops on the way to the top of volcano. California- and Oregon-bound pioneers walked parts of this path in the 1850s. Imagine the reactions of emigrants as they traversed this bizarre landscape, struggling to cross one last mountain range in order to reach the relative comfort and safety of the Sacramento Valley. Exploring the nature trail and the 700-foot high volcano is a fine family day hike. Walking on cinders and loose soil provides a good workout! More ambitious hikers may extend this hike with a long circle tour of two of the park’s largest lakes—Butte Lake near the trailhead and Snag Lake. From a vantage point atop Cinder Cone, hikers often suspect that Snag Lake is much easier to reach than it actually is. Remember that the cinder path is slow going in places. Directions: From Highway 44, 11 miles east of Highway 89, turn south at the signed turnoff from Butte Lake. Follow the dirt road 6 miles to Butte Lake Campground. Park at the signed trailhead above the north shore of Butte Lake. The nature trail begins beyond the ranger station. The hike: Walk along the edge of the Fantastic Lava Beds. You’ll pass a right-forking trail leading to Prospect Peak, and reach a junction with the Cinder Cone summit trail, 1.4 miles from the trailhead. After exploring the peak, descend the trail down the south side, traveling a mile and a half through pine and fir forest to Snag Lake. Springs and wildflower-strewn meadows are part of the charm of the area. Walk 2.2 miles on the west, then south, then east sides of the lake. Enjoy the forest and views through the trees of Cinder Cone and Fantastic Lava Beds. From the lake, the path passes through a stand of aspen then descends amidst lodgepole pine 3 miles to a trail junction. Veer left to Butte Lake, where the path closely follows the east shore 1.6 miles, then descends 0.6 miles west back to the trailhead.